The TLAX Series 4 to 20 mA Output Transmitter is based on All Sensors’ CoBeam2 TM Technology. This reduces package stress susceptibility, resulting in improved overall long term stability. The superior dual-die technology also vastly improves position sensitivity compared to single die devices. This technology breakthrough advances the state of the art for piezoresistive pressure sensors beyond what has been achieved for low pressure sensing using silicon based strain technology. This combined technology breakthrough advances the state of the art for piezoresistive, silicon-based pressure sensors beyond what has been achieved for low pressure sensing. The TLAX series is fully digitally compensated for the effects of pressure and temperature change. It can be used as a gauge pressure transmitter if the low-side is left open to the atmosphere. 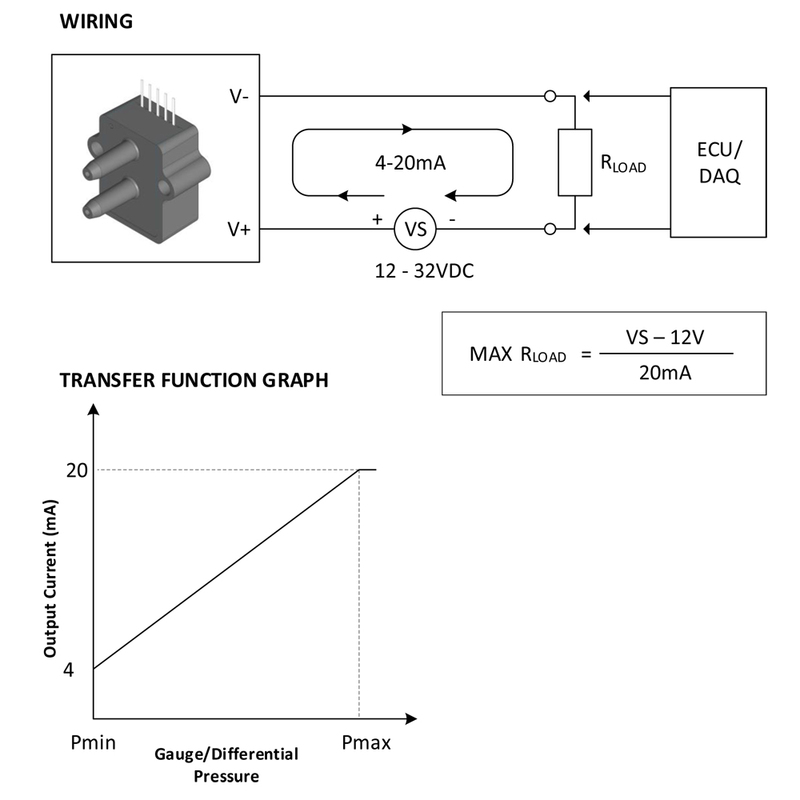 NOTE 1: Performance Parameters are measured with 24VDC and RLOAD of 250Ω. NOTE 3: Total accuracy is the combined error from offset and span calibration, non-linearity, pressure hysteresis, and temperature effects. Calibration errors include the deviation of offset and full scale from nominal values.